Did you know we distribute free materials to local nonprofits? 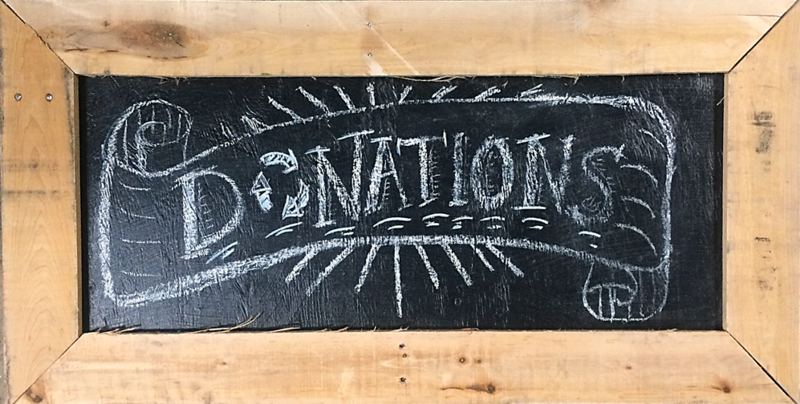 Our Community Building Blocks program (CBB) provides grants of store credit to nonprofits, schools, and volunteer groups in need of building materials for projects that serve the greater community. 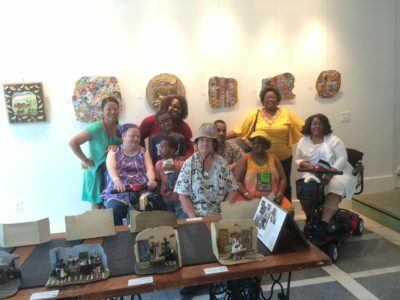 One organization that has recently made great use of the CBB program is Art Therapy for Veterans Administration DC Medical Center Residents. 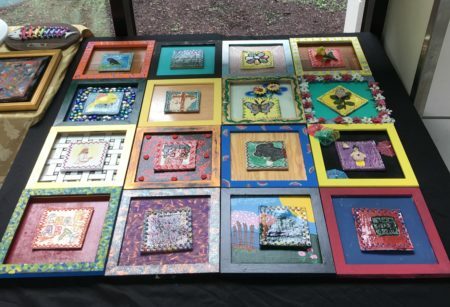 The organization was able to get free picture frames, tiles, paint, and other supplies for use in art therapy sessions offered by the organization at the Medical Center’s Community Living Center. Members of Art Therapy for Veterans Administration DC Medical Center Residents. 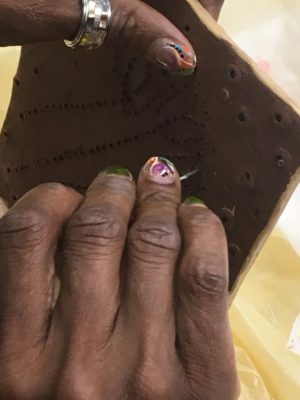 Kasse Andrews-Weller is a volunteer with Art Therapy for Veterans Administration DC Medical Center Residents, and connected the program with Community Forklift. An avid Forklift Fan herself, she is an artist who earned Bachelors and Masters Degrees in art, specializing in ceramics. She is also a military veteran, who not only helps other veterans create art in the Art Therapy program, but participates in the program herself. A class member personalizes their 6×6 clay slab by poking holes. Much of the art that the veterans design is inspired by their passions, and each piece is personalized. “We come up with a thing, which was quilts, and then it’s like what is your favorite thing, what represents you, and what is the main driving force in your life…The work that they’ve done is reflective of their own self-expression, something that provided comfort.” The groups’ individual pieces were recently combined to create one big quilt, which went on display in the exhibit Healing Arts, at Walter Reed National Military Medical Center, in early November. The Quilt displayed at the Walter Reed Military Medical Center. Many of the materials used in the quilt project came from Community Forklift. For example, Community Forklift picked up a large number of picture frames from a Marriott Hotel renovation. Ms. Andrews-Weller spotted them on a trip to the ‘Lift, and was delighted she could get them for free through her Community Building Blocks grant. Ms. Andrews-Weller regards classmate Michael Green as a great example of how the art therapy program has helped veterans. Mr. Green is The Capitol Hill Art League’s Honorary Member and October’s Artist of the Month. 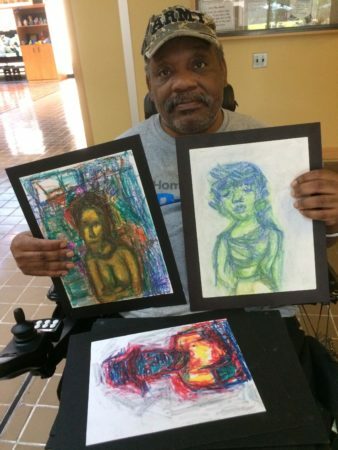 According to the Capitol Hill Art Workshop’s website, “Michael is a Disabled US Army Veteran who has been living at the Veterans Administration DC Medical Center‘s Community Living Center since 2008 following the death of his Mother.” Mr. Green has a condition called cervical spondylosis, which caused him to be in a wheelchair. Michael Green displaying some of his artwork. Want to help us support more great projects like this one?